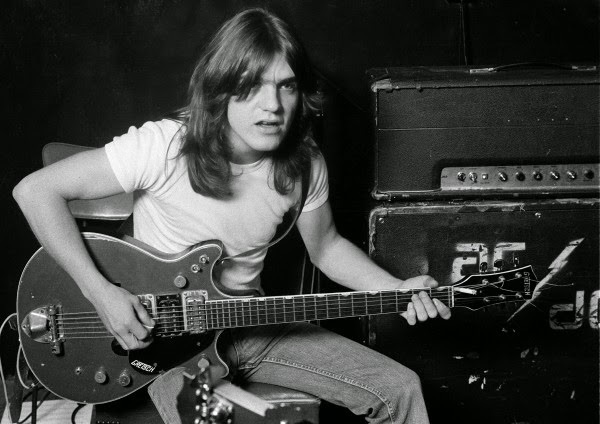 A report out of Australia indicates AC/DC guitarist Malcolm Young is receiving full-time care for dementia. The Sydney Morning Herald reports sources connected to the Young family have said Young, whose retirement from the band was announced on Wednesday, has been moved into full-time care in a nursing home facility in Sydney's eastern suburbs specializing in dementia. The home is understood to be Lulworth House in Elizabeth Bay. According to the Young family connection: "If you were in the room with [Malcolm] and walked out then came back in one minute later, he wouldn't remember who you are. He has a complete loss of short term memory. His wife Linda has put him in full-time care." AC/DC have not commented or made any public statements revealing details of Malcolm’s health issues to date. On April 16, AC/DC issued a statement regarding the band’s status and future in the wake of rumors surrounding Malcolm’s health and the band’s possible retirement. This week, AC/DC announced that they will release a new album, “Rock Or Bust”, on December 2. Malcolm and Angus Young’s nephew, Stevie, handled rhythm guitar duties on the record and will join the group for a world tour next year. AC/DC was formed in Sydney in November of 1973 by brothers Malcolm and Angus Young; with few personnel changes over the years, the band has sold more than 200 million albums worldwide, including 71 million albums in the United States alone.